These Nintendo water bottles are S'well. Literally. 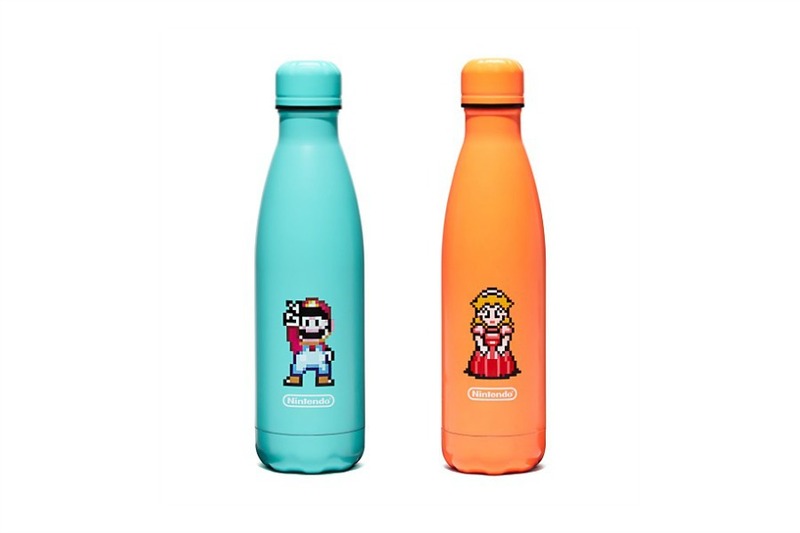 Aren’t these water bottles such a clever collaboration from our friends at Nintendo and S’well? We love S’well bottles, and we love Nintendo, so it’s no surprise we’re loving these new bottles. Sure, they’re fun for Father’s Day, but keep them in mind for graduation, or any day you need to give something awesome to a video game lover. They’ll keep those cold water (or brews) cold, and that hot coffee (or toddy) hot, and they’ll stand out in the sea of plain stainless steel water bottles that all use grown-ups seem to carry with us. And they’re 100% exclusive at Bloomingdales. Translation: That special video-game loving dad in your life for whom you’re trying to find the perfect gift has probably not ever seen these.